Whitney Transfer & Storage, Inc.
Full service moving combined with generous storage facilities are what Whitney Transfer & Storage Inc is all about. 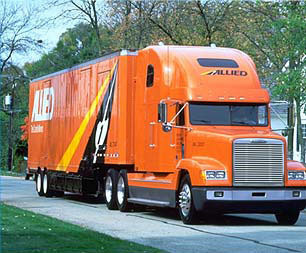 Whitney Transfer & Storage Inc (Allied Van Lines) provides a wide range of services for all of your moving needs. Full service moving combined with generous storage facilities are what Whitney Transfer & Storage Inc is all about. The right storage solution is only a call away. Conveniently located in Mountain Home, ID, Whitney has several storage solutions for you to chose from. Competitive prices and a well maintained facility are the reasons why you should choose us. We understand that relocation can be very stressful for anyone and because moving is a major process, we specially train our employees to provide individualized service to all of our customers within the Mountain Home area of Idaho. We also offer specialized local moving services for your region. Contact us today!